When will be Birds of a Feather next episode air date? Is Birds of a Feather renewed or cancelled? Where to countdown Birds of a Feather air dates? Is Birds of a Feather worth watching? 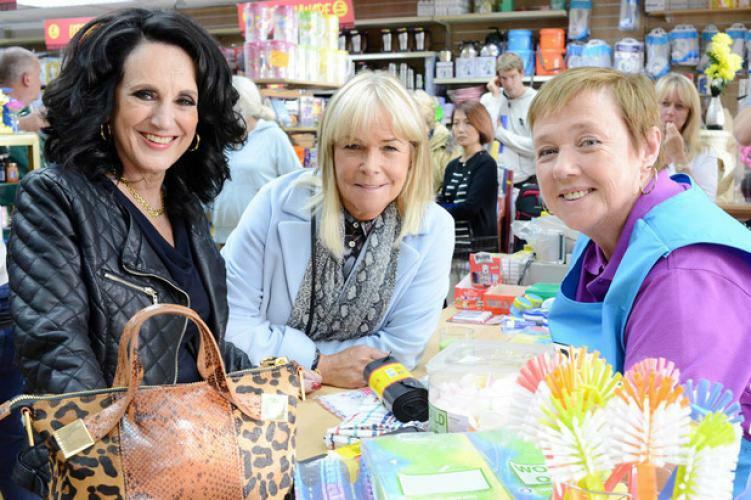 Auntie Vera has a multitude of problems and so tells Sharon and Tracey that she is moving in. However with the one spare room currently housing Dorien, she is told family has to come first. Tracey is most welcoming when an attractive visitor named Emma turns up at her front door. Dorien is shocked, whilst Travis is over the moon. Travis has news about school that he's worried to break to his mum. Sharon thinks that she can easily pass herself off as Tracey and solve all Travis' problems, but her efforts lead the family into a mess that only Dorien can get them out of. Sharon and Tracey believe that Dorien may soon be turning 70 years old, and whether she likes it or not they are determined to celebrate. Birds of a Feather next episode air date provides TVMaze for you. EpisoDate.com is your TV show guide to Countdown Birds of a Feather Episode Air Dates and to stay in touch with Birds of a Feather next episode Air Date and your others favorite TV Shows. Add the shows you like to a "Watchlist" and let the site take it from there.